Click the button below to add the Private Accessible 8 Hour Amsterdam and Beyond Driving Tour to your wish list. The Private Accessible Amsterdam and Beyond Driving Tour combines convenient accessible transfers between the best highlights, with time to get out of the vehicle and experience all the fascinating sites firsthand. Experience the charming city of Amsterdam with its beautiful historic highlights and explore the best of the Dutch country side with a visit to the fishing village Volendam and famous Zaanse Schans. 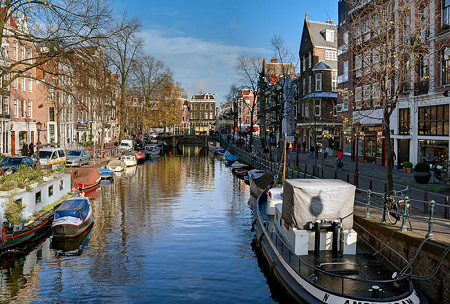 This Private Accessible Amsterdam and Beyond Driving Tour begins as your local experienced guide and accessible van meets you at your central accessible hotel or Amsterdam cruise port. From here, you’ll set out on an 8-hour adventure, tailored to your preferred pace and accessibility needs. There will be plenty of time to admire all the interesting sites, listen to the guide’s fascinating anecdotes and stories, and take beautiful pictures to share back home. Start your day with a short drive to the famous Nieuwmarket in the inner city of Amsterdam where your walking/strolling portion of the day begins. The Nieuwmarket has been a typical Dutch market since the 17th Century, when farmers would come here to sell their produce. At the market square, you’ll see The Waag, the original gate of the medieval city wall, later converted into a weighing house. Next, you’ll make your way along the Amsterdam’s picturesque canals and the famous Red Light District, to the historical Dam Square and the Amsterdam Museum with its beautiful exterior. The tour continues through a gallery with modern pieces of art which leads to a historical courtyard, Begijnhof. This peaceful court is one of the oldest inner courts in the city of Amsterdam with characteristic Amsterdam-style town-houses. Some still have their original a Gothic wooden framework! As your time in the city center comes to an end, it’s time to board your private accessible van again for a scenic drive through the Dutch country side to Volendam. Volendam is a village known for its old fishing boats and the traditional clothing still worn by some residents. Here, you can enjoy lunch at a local accessible Dutch restaurant (cost not included), and afterwards you will have time to explore this little charming village escorted by your guide. 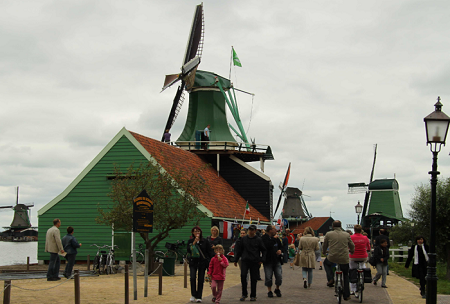 The last stop of the day is Zaanse Schans, a residential area in which the 18th and 19th centuries are brought back with its well-preserved historic windmills, traditional houses, clog museum and cheese farm. 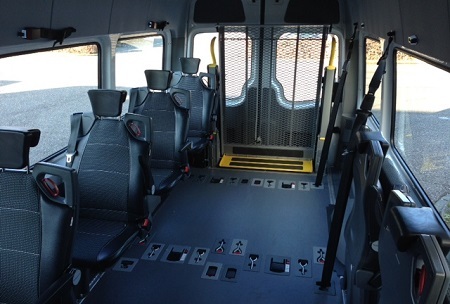 After some time exploring and visiting all these interesting sights, your accessible van and driver will be ready to take you back to your accessible central Amsterdam hotel or Amsterdam cruise port. 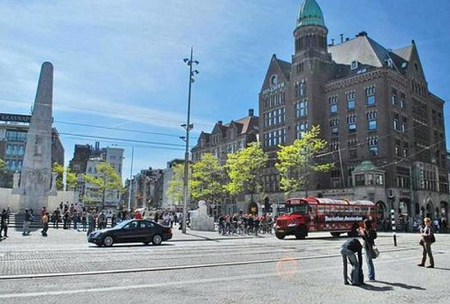 This accessible Amsterdam driving tour uses a wheelchair accessible van with a lift. The walking parts of this tour are step-free and mostly flat with paved surfaces. You will encounter a few mild few hills and only cobblestones in a few places. 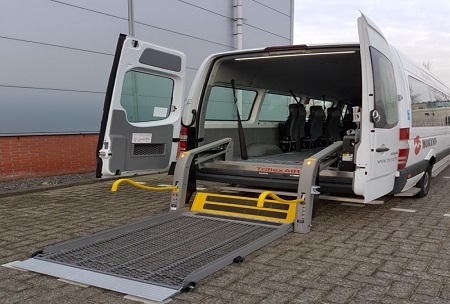 Accessibility Information: The Private Accessible Amsterdam and Beyond Driving Tour uses a wheelchair accessible van with a lift. The tour involves a significant amount walking/rolling, however, your guide will lead you through the city using wheelchair friendly routes. The terrain is mostly flat and smooth. Some uneven terrain and cobblestones in certain areas. The route is entirely step-free. 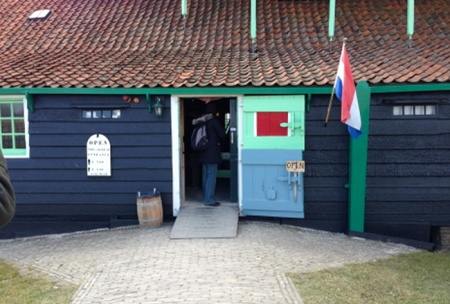 Included: Tour price includes entrance to ZaanseSchans . Not Included: Snacks/ meals and Gratuities.